While on one side we have the smartphones flooding the market, there is one more category of gadgets that is rapidly evolving but the adoption is still to pick up. One of the main reasons is the price factor. Apple, Motorola, LG, Huawei et all have smartwatches but they are still not in the price range that masses can adopt. 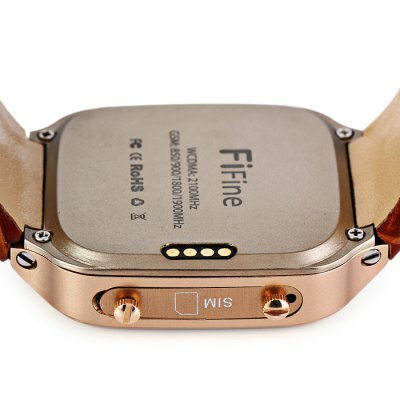 Allow us to introduce FIFINE, one of the Chinese company that makes many different smart watches and today we will talk about the FIFINE W9 – a smartwatch phone. 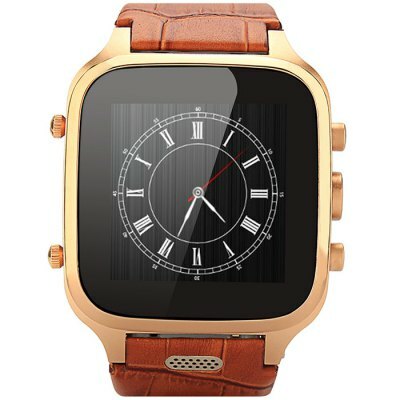 So what does this smartwatch has to offer? 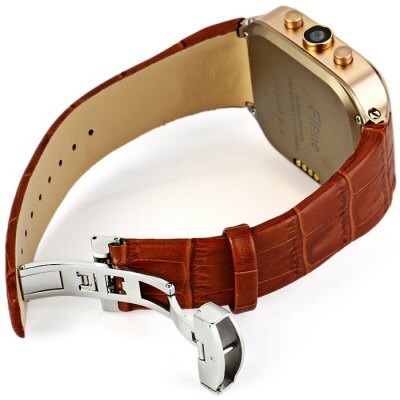 For starters this watch has a posh genuine leather strap that gives it a premium look and it packs some crazy specs that one could perhaps imagine in their dreams. 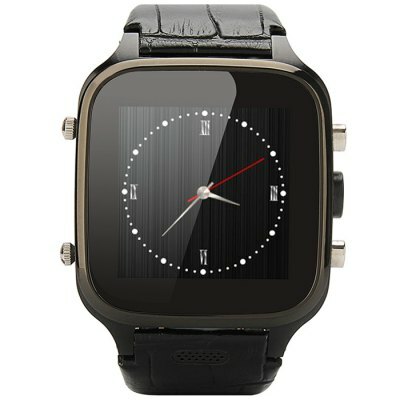 In terms of the hardware, powering this watch is a Dual Core MTK6572 processor clocked at 1.0 GHz and a Mali-400MP GPU. 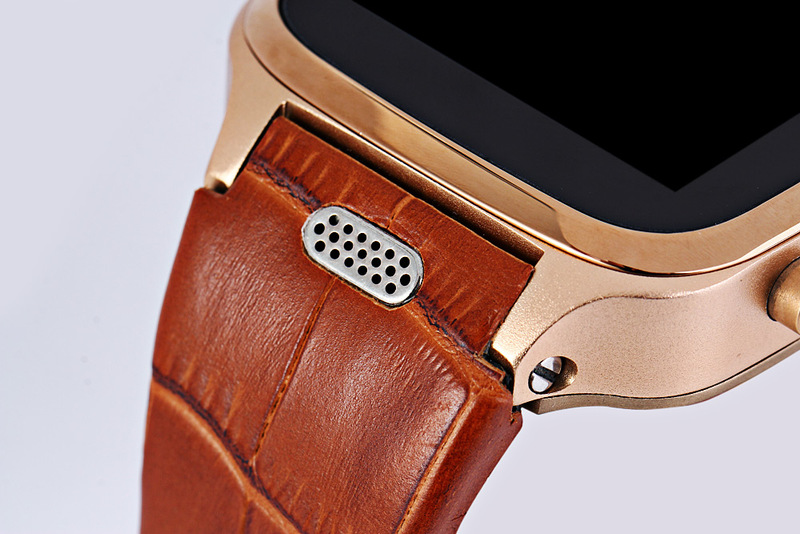 With 1 GB of RAM and 8 GB of internal memory the watch runs on Android 4.4 KitKat. Connectivity options include: 2G, 3G, Wi-Fi, GPS, Bluetooth and it accepts micro SIM. 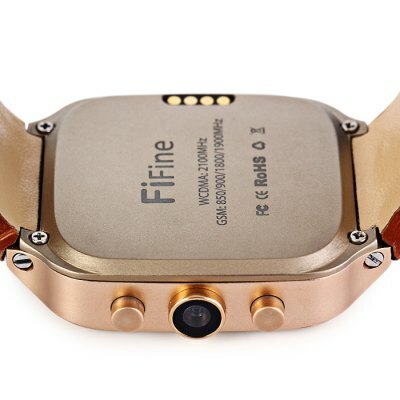 If that was not enough, the watch features a 5 MP camera, speaker and supports expandable storage via microSD card! This watch is only living waterproof, means you cannot wear it while swimming or under water. It comes with a 600mAh removable battery and can be easily charged using the charging cradle, micro USB cable and power adapter supplied in the box. W9 comes in 3 colors – Champagne, Black and Red and is priced at around $280 but currently being sold for $164 on GearBest. 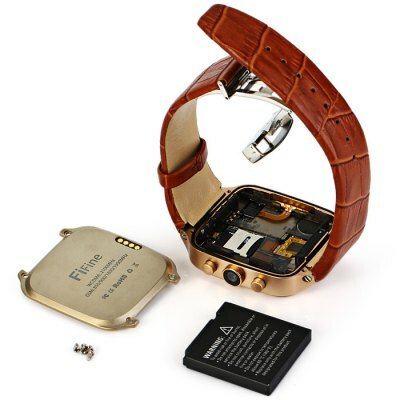 Worldwide shipment is offered and the watch comes with an unlocked condition which means it can be used with any network across the world. Can you send or show me sample images shot using the fifine w9?